Chances are, many men didn’t get much guidance growing up when it came to hair conditioner. Many of us, in fact, may have been taught that conditioner wasn’t for, well, real men. We’re all about serious grooming and think you should be, too. And conditioner for men is just another tool to help you always look your best – besides that, it’s extremely healthy for your hair. 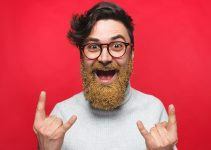 Let’s take a look at the best conditioners for men – led by the best hair conditioner, Art Naturals Organic Moroccan Argan Shampoo and Conditioner – why you need to use them, how to apply them, and why they’re different from shampoos. Conditioner, shampoo – it’s all the same, right? Like shampoo, conditioner is not a one-size-fits-all type of product. Yes, all conditioners are designed to add moisture to the hair and scalp, as well as soften the hair and increase its luster, but they come in different types, and some are better for certain kinds of hair than others. This type is the most common of all conditioners. You know the type: you apply it in the shower after washing your hair and then rinse it off when you’re finished. This type of conditioner is the middle ground between a deep conditioner and a leave-in conditioner. Deep conditioners provide a more intensive treatment for your hair and work to get to the root of your hair follicle. In most cases, deep conditioners are left on your hair for 10 to 30 minutes and require you to wear a shower cap after you’ve applied it in the shower. As a general rule, deep conditioners should be applied two to three times a week for maximum effectiveness. You apply this type of conditioner after your shower and, as its name implies, is meant to remain in your hair throughout the day. Leave-in conditioner both conditions and detangles your hair and often contains a heavy oil mixture. It works much like a facial moisturizer by nourishing your hair. Some leave-in conditioners include sunscreen to protect your hair from sun damage. Cetearyl alcohol is a “fatty” alcohol that won’t dry your skin like other types of alcohol. Instead, it acts as a natural emollient to soften your skin and hair. You’ll find carrier oils in many men’s grooming products, including beard oil, shaving cream, and more. Carrier oils are effective because they mimic the (sebum) oil that’s excreted by the glands along the root of your hair follicle and moisturize your skin and hair. Jojoba and argan are the mildest of oils and have a mild scent that’s often masked by other fragrances found in a particular brand of conditioner. You’ll find vitamin B5 in virtually every conditioner on the shelf, because it helps repair damage to your hair follicles. What type of hair you have is one of the most important considerations when buying a conditioner. 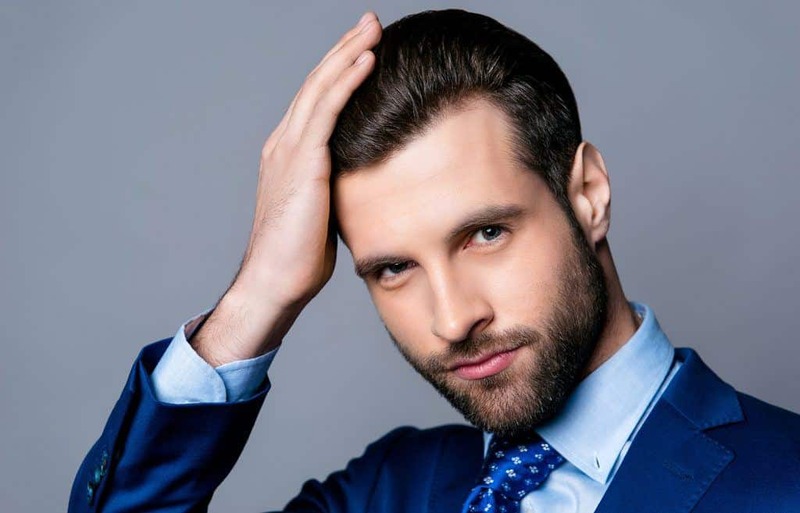 Men with hair that stays oily or greasy often don’t use conditioner, but others do because they overly shampoo their hair to rid it of its greasiness. That said, stay away from conditioners that claim to provide extra hydration and moisture. Instead, look for brands that strengthen, volumize, or balance your hair. Excessively dry hair often becomes damaged and brittle, making your choice of conditioner of even greater importance. Shop for conditioners that moisturize, hydrate, smooth, or balance hair, while avoiding volumizing, strengthening, and fortifying conditioners that won’t provide enough moisture to your hair. If you have normal hair, congratulations. In your case, the options for buying a conditioner are many, indeed, and you’re able to focus on a conditioner that simply feels good or works the best for you. If you have fine hair, choose a volumizing conditioner that gives your hair more body and a fuller-looking style. If your hair is thinning, look for a conditioner that increases the size of hair strands to give the illusion of thicker hair. There are also hair loss conditioners that stimulate to the scalp to support hair growth. If your scalp is sensitive and easily irritated, look for a conditioner that’s sulfate-free (and therefore gentler). 4. Do I Need It? Your hair follicles become damaged due to brushing, blow-drying, adverse weather, excess sun, etc. Shampoo does a great job in cleaning your strands of hair but doesn’t lock in moisture and may leave your hair looking – and feeling – dry and brittle. Conditioner treats your hair with nutrients but also makes it more manageable for styling purposes. OK, now let’s take a look at the best conditioners for men. When you buy Art Naturals Conditioner, it comes in a set with the brand’s shampoo, which a lot of users love. Yes, the conditioner stands on its own as a quality product, but their shampoo is excellent – particularly for men who suffer from hair loss – and using the two together will produce terrific results. But, again, the conditioner is excellent all by itself, including for the fact that its list of ingredients lives up to Art Naturals’ standard for 100% natural. As its name implies, a key ingredient is argan oil – in this case, argan oil from Morocco (where most of the argan oil comes from). There are a variety of hair and skin health benefits associated with argan oil, including everything from healing wounds to nourishing hair and relieving rashes. We’re interested in its benefits for the hair, of course, and argan oil helps restore hair to a glossy, natural shine while repairing split ends. Argan oil is also proven to make hair softer. 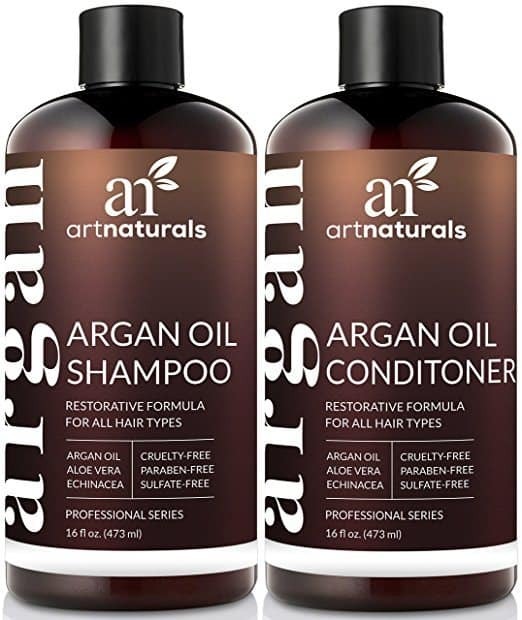 The Art Naturals Argan Oil Conditioner provides all of those benefits while helping to strengthen hair, even protecting it from both damage caused by the sun’s UV rays and daily styling. Like the shampoo, it also stimulates both skin cell renewal on your scalp and healthy growth. And, just as a conditioner should, it moisturizes your hair to keep it from drying out more rapidly. We think it’s the best men’s conditioner for dry hair. If you care about your hair’s overall health and vitality, then you should try this conditioner. Its all-natural ingredients are kindler and gentler, plus it helps protect it from damage caused by the sun and excess hair drying. 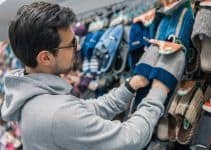 It’s one of the top brands available. American Crew’s Daily Conditioner gets plenty of thumbs up for its fresh scent, but we understand that you’re looking for something more than a good fragrance. For one, the American Crew conditioner consists of many superb ingredients, such as cetyl alcohol that gives your hair a smooth, silky feeling. Moreover, it contains vitamin B5, which penetrates deeply into hair follicles, providing all the nourishment they’ll need. What else? Well, there’s menthol and peppermint oil that tone and invigorate the scalp while leaving a refreshed, tingling feeling that lets you know the conditioner has penetrated as deeply as possible. Meanwhile, rosemary and thyme extracts promote healthy hair, and it’s all fortified with Panama bark extract. All told, this conditioner leaves your hair feeling clean but also very manageable – which you expect from a quality conditioner. This conditioner is another strong product in American Crew’s consistently excellent line of products. It does everything a good conditioner should do and even comes at an affordable price. You’ll see the phrase “warrior grade” associated with Krieger and Sohne products, because the word “Krieger” means warrior. That’s part of the reason why they believe their products will unleash the warrior within you. Now, whether a conditioner is truly capable of that is open for debate, but you have to like the K & S spirit. We also know that they have excellent products for your hair, including their stylist-level conditioner. This stuff answers the bell in true warrior fashion. The K & S Men’s Hair Conditioner is infused with peppermint oil, which helps soothe your dry scalp while reducing dandruff and further skin irritation. Peppermint oil also relieves stress while giving your overall mood a boost. Nothing wrong with that. If you’ve experienced dry, broken hair in the past, you know the frustrations that come with it, but the K & S Men’s Conditioner is designed to alleviate all that negativity and frustration. Its list of ingredients includes tea tree oil, a substance used in healing ointments and aromatherapy. Simply put, it’s good for your hair’s overall health and helps make the K & S Conditioner the best conditioner for damaged hair. Another ingredient you’ll find in Krieger & Sohne’s conditioner is burdock extract. This product claims to purge toxins from your hair while stimulating new cellular growth. The K & S conditioner has a minty smell that is subtle and perfect for a man. 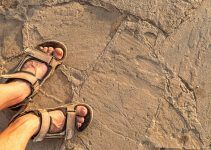 You’ll notice it – and others may, too – but it won’t overpower anyone. Another thing we like about this conditioner is that it leaves your hair shiny and smooth but without the greasy feel, and look, of lower-quality conditioners. K & S offers a hassle-free money-back guarantee on all of its products, which we know you’ll like. If you’re not happy with the product for any reason, simply send it back for a refund. Krieger & Sohne has an excellent conditioner to pair with its top-quality shampoo. Their conditioner restores and replenishes your hair while making it easy to manage. You’ll like its scent, as well. Jack Black has a (positive) reputation for the quality of its all-natural products, including its shave creams. Their Nourishing Hair and Scalp Conditioner simply reinforces their street cred. From its hair-friendly – and enhancing – list of ingredients to the many benefits it has for men of all hair types, but especially those with thinning hair, this conditioner has it all. Again, it’s what customers have come to expect from Jack Black. 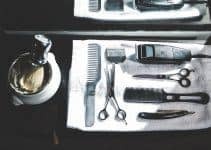 Family-owned and operated, the Texas-based company is committed to delivering quality men’s grooming products without getting too complicated or “cosmetic,” and they were formed with the intention of inspiring men to get serious about grooming and skincare. To their credit, they make it easier with stuff like their top-notch conditioner. Vitamin B5 – Which adds volume and shine. 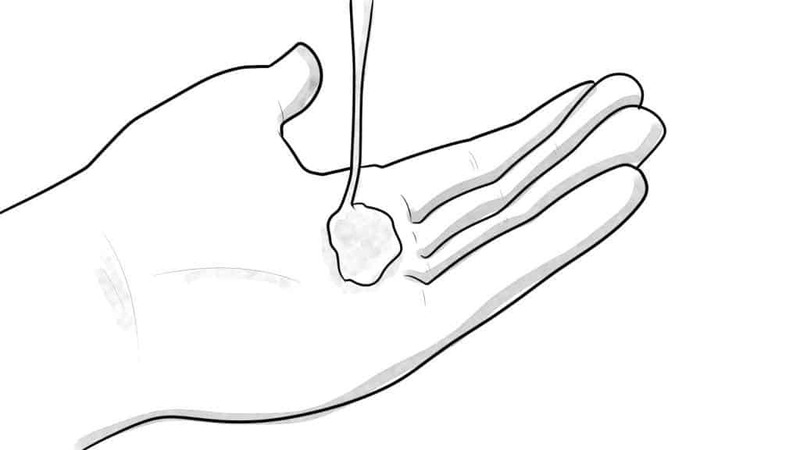 Another note about tea tree oil: because it’s anti-inflammatory, it also helps ward off dandruff. What man doesn’t love that? Jack Black’s PureScience formulas use a blend of natural, gentle surfactants and organic ingredients without parabens, fragrance, or colorants. All of their formulas are animal cruelty-free, as well as dermatologist-tested. Finally, the Nourishing Hair and Scalp Conditioner – like all of Jack Black’s products – has a lightweight feel. Your scalp will feel healthy but not weighted down as with other conditioners, as well as protected from the drying effects of the sun and environmental stress. Jack Black isn’t trying to be anything fancy with its products but delivers quality performance while helping men look and feel their best. Their Nourishing Hair and Scalp Conditioner is no exception. Like Jack Black’s Nourishing Hair and Scalp Conditioner, Woody’s Daily Conditioner is made in the USA and takes full advantage of the many qualities of tea tree oil, but it stands on its own, as well, while being good for men and women. People who’ve tested Woody’s Daily Conditioner advise that you leave it in for less than a minute after applying it to your hair. It’s advised that you leave other conditioners in for at least a couple of minutes before rinsing it away. Part of its strength comes from the aforementioned tea tree oil, which also reduces the dryness and itchiness of your scalp. You’ll notice the tea tree’s “kick,” which is refreshing to most users, but this isn’t a conditioner that leaves your hair feeling heavy and weighed-down. 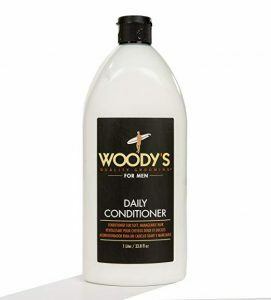 While Woody’s Daily Conditioner packs a punch, it’s still good for daily use, and it’s good for men with all hair types (but works best for men with normal hair). This conditioner contains both natural and synthetic ingredients, including jojoba oil, vitamin B5, wheat germ oil, peppermint oil, and more. Again, Woody’s formula has men in mind, but their conditioner works perfectly well for women, too. In either case, it gives your hair more volume and makes it easier to style. Woody’s is another company that isn’t on everyone’s radar but delivers quality products that outdo those of many big-name manufacturers. You’ll like how this conditioner makes your hair look and feel. Perhaps the real miracle is all the things It’s a 10 Miracle Leave-in Conditioner can do: from repairing dry and damaged hair to making your coffee in the morning. OK, so it can’t really deliver your caffeine fix, but there’s no doubt that this is an extremely versatile product that, besides being the best leave-in conditioner, is also the best men’s conditioner for curly hair. But it’s also a conditioner that works well no matter your hair type. If your hair is curly, It’s a 10 Leave-In Conditioner is particularly effective after rinsing your shampoo and regular conditioner away. Simply add this leave-in conditioner at the end, and you’ll better manage and style those luscious waves, coils, and kinks. Furthermore, you can use any other hair styling product in conjunction with the It’s a 10 Leave-In Conditioner. In either case, you’ll manage your hair more effectively while also giving it excellent body. So, what makes this conditioner so good – beyond its many functions, that is? As with most quality grooming products, it all starts with ingredients, and It’s a 10 Leave-In Conditioner has several that enable it to do what it does. Green tea leaf extract is one of those ingredients and benefits your hair by shielding it from environmental damage, while vitamin B5 (panthenol) both strengthens and softens your hair. What else? Well, silk amino acids help repair damaged hair, while Camellia Sinensis leaf extract also aids in softening your hair while curbing breakage. So, who is It’s a 10, anyway? Based in the U.S. (Florida), It’s a 10 is a sought-after brand by many salons and professional stylists. It was several years in the making – with long research devoted to finding the best formulas for its products – before hitting the market with rave reviews. They’re also a socially-conscious company that’s heavily involved with the Leukemia and Lymphoma Society and Right Action for Women, a group devoted to helping women with breast cancer. This is a go-to option if you’re looking for a conditioner that stays with you the entire day. It has a long list of benefits, including that it protects your hair from damage. Plus, you can share it with your wife or girlfriend. Your first step is knowing your hair type and choosing your conditioner accordingly. 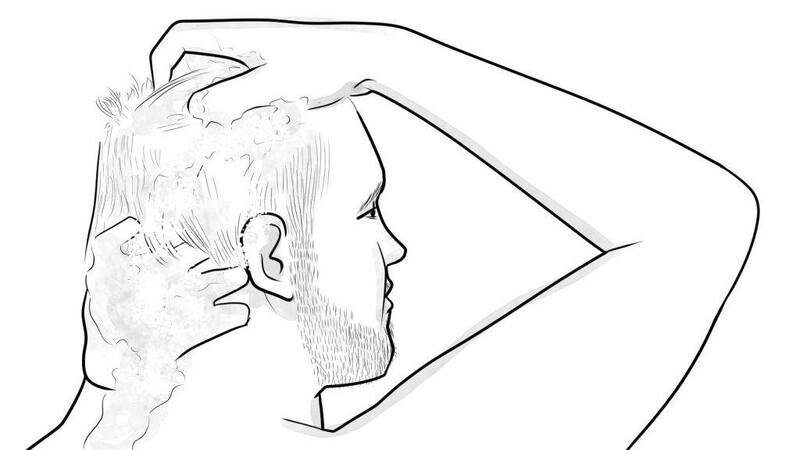 Apply conditioner in the same way you would shampoo: squeeze a small amount into the palm of your hand and then spread it through your hair by using your fingers. 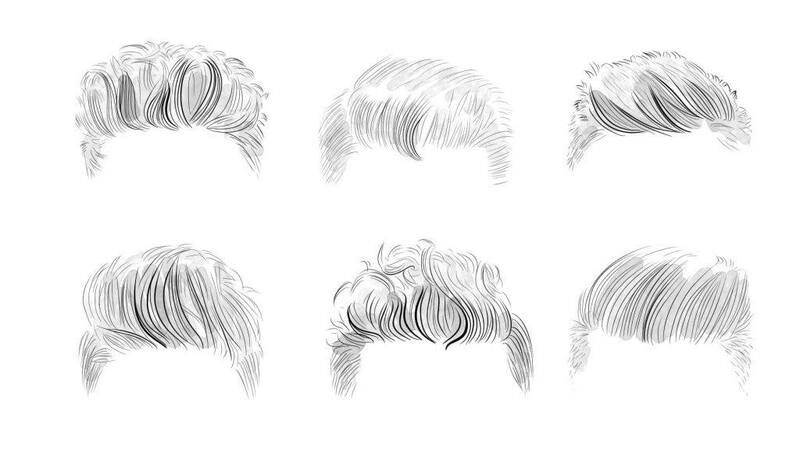 Most hair experts suggest that you start at your neck and work your way up. Experts also urge you to apply conditioner away from your hair roots and scalp. After you’ve spread the conditioner evenly throughout your hair, let it sit for a couple of minutes – or more – before you rinse it out. Rinse your hair with warm, not hot, water to get all of the conditioner residues out. Conditioner takes a bit longer to rinse out than shampoo. Some say rinsing it with cold water adds extra shine. 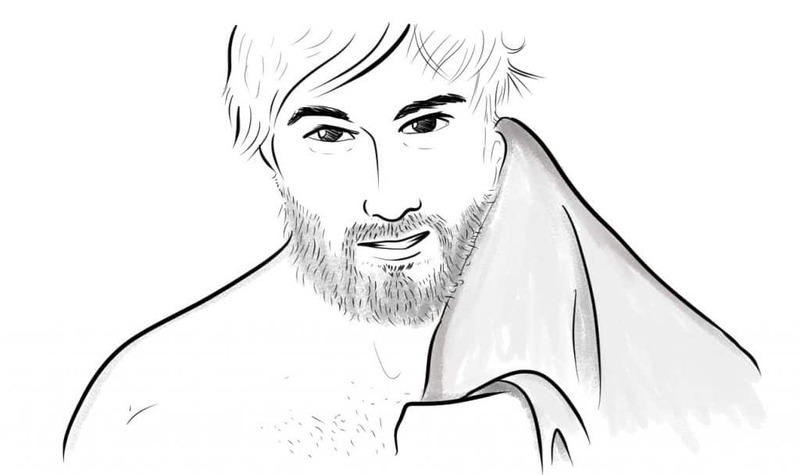 Blot your hair with a towel to dry it, rather than squeezing it dry. Tugging and squeezing will damage hair follicles. There’s no rinsing if you use a leave-in conditioner. Just apply it as you would other types of conditioner but leave it in until the next time you shampoo. And while many shampoo manufacturers offer a 2-in-1 benefit by adding conditioner to their for formulas, shampoo and conditioner are different things. The basic difference isn’t hard to figure out: shampoo cleans your hair while conditioner adds body and helps strengthen it. But there’s more – namely science. First, conditioners are the we-got-your-back solution for when shampoos may strip your hair of natural oils. Conditioners, normally applied after shampoo, make up for the loss of natural oils. Whether they’re moisturizing, deep, color protectant, or acidifying conditioners, they perform the same basic function. But how do conditioners work? Here’s where we’re going to get a bit scientific. First, when your hair starts to look frizzy or limp, it’s because the cuticle layer of your hair/scalp is worn down. The cuticle layer protects the inner layers of a hair strand. When the cuticle layer of flakes fits snugly together, your hair looks its best. As the invisible, molecular bonds that hold cuticle cells together weaken over time, individual hair strands tangle and may break off. However, the key ingredients in conditioners – known as cationic surfactants – bind with hair strands and cover them, as well as covering the cuticle flakes, to provide a nice nest of protection. The small amount of acid found in conditioners is then able to make the cuticle flakes fall tightly together to give your hair the smooth feeling – even after you rinse the conditioner out. OK, that’s enough science, although we should mention that conditioners include Cetearyl alcohol, a chemical agent designed to reduce evaporation on the skin. Meanwhile, emollients keep the skin moist and also reduce evaporation on the skin (while also restoring vitamins and minerals lost during shampooing). Conditioners have a higher pH level than shampoo, because the extra pH provides a balance that helps develop amino acids, which make your hair shinier and full of body. While you rinse most conditioners out of your hair after applying them and working them deeply into your hair and scalp, leave-in conditioners – a.k.a. leave-in hair treatment – remain in your hair until the next time you shampoo. Leave-in conditioners represent a third step during the grooming process that follows shampooing and the use of typical conditioners you rinse out of the hair. They come in many forms, from spray to liquids to creams. They add additional moisture and keep hair hydrated throughout the day. They’re great for hair types that need more moisture than a regular conditioner provides. They help detangle knotted hair while making it easier to brush. They provide further protection from environmental damage – such as the sun, excess chlorine, or winter weather extremes. Shampoo has been around longer than conditioner. While humans have used cleaning agents in their hair since, well, the era of the great pyramids, commercial shampoo first emerged onto the grooming scene at the turn of the 20th century. In fact, shampoo comes from the Hindi word “champo,” which means to massage the head with hair oil. The easiest way to describe shampoo is to think of it as a detergent for your hair and scalp. It contains detergents and surfactants – chemicals that produce lather and cleanse oil and dirt from your hair. The primary purpose of shampoo is to remove the particles that build up in your hair, not the least of which are dandruff and environmental pollutants. It also removes dead skin cells that build up on your scalp and attach themselves to hair follicles. While most shampoos include a nice-sized list of ingredients, water makes up 70-80% of their entire formula. The rest consists of cleaning agents, oils, anti-dandruff agents, etc., but the agents are typically mild. Do you need to shampoo every day? That remains open to debate, but most people choose to make shampooing part of their daily grooming routine. However, deciding not to shampoo for even a couple of days may have a host of negative consequences, including thinner-looking hair, a musty smell, and even in-grown hairs on your scalp. And you know how aggravating in-grown hairs are on your face (and under your beard). They’re not any fun on your scalp, either. Our reviews of products like conditioner, shampoo, shaving soap, beard oil, essential oils for thick hair – i.e. 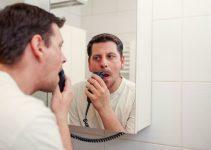 things you apply to your beard, face, and hair – usually take into consideration a few similar things. That includes ingredients – the more natural ingredients, the better – price (we strive to find products that fit every budget), user reviews, and even versatility and scent. But it all comes down to performance, and if products don’t deliver in the performance category, then they aren’t included in any “best of” reviews. To that end, we think all of the products listed here make the grade, and we certainly think they’ll serve you well. Do you have a favorite conditioner that you think should be on the list? Or questions and comments about those we’ve listed here? If so, we’d love to hear your comments and suggestions! We promise to respond promptly. I use Art Natural argan oil shampoo and conditioner twice a week and it does wonders! My hair is smooth and looks silky! I also use argan oil in my hair, maybe that’s what boosts the effects. I definitely recommend using Argan oil atleast 2 times a week.